The Insolvency and Bankruptcy Board of India (IBBI), which is implementing the Code, has amended the regulations whereby claims can be made by creditors other than financial and operational creditors. The revised rules come when many flat buyers are left in the lurch citing delays in project completion. New Delhi: A person who has to receive a payment from an insolvent company can now seek the claim under the insolvency law as the revised regulations have enabled owners of undelivered flats to get relief. Till now, only financial and operational creditors were permitted to seek claims under the Insolvency and Bankruptcy Code (IBC). 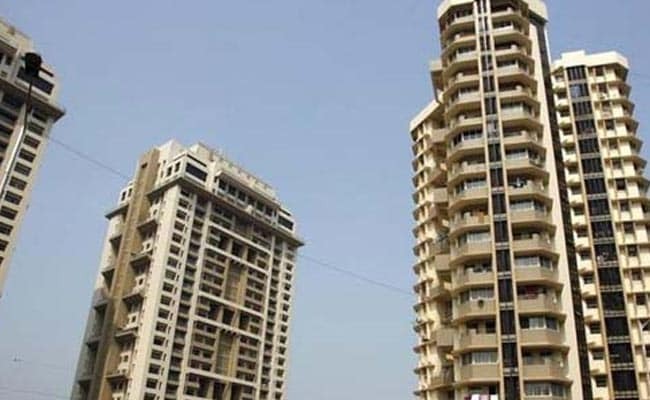 The revised regulations come at a time when a large number of flat buyers have been left in the lurch, especially in the National Capital Region (NCR), due to long delay in deliveries amid the developers citing fund crunch. Such entities should submit proof of their claims to the interim resolution professional or resolution professional, as per a notification issued by the IBBI on Wednesday. "There could be claims from a creditor who is not a financial creditor or an operational creditor and it needs a specific form for submitting its claim. The IBBI has amended these regulations today to provide for a form for submission claims by creditors other than financial and operational creditors," the IBBI said in a release. The form can be submitted under the Corporate Insolvency Resolution Process. According to the notification, the existence of the claim can be verified by way of "documentary evidence demanding satisfaction of the claim... and bank statements of the creditor showing non-satisfaction of claim", among other options. Once a case is admitted for insolvency or bankruptcy by the National Company Law Tribunal (NCLT), then an interim resolution professional is appointed to take the process forward. The interim resolution professional would "collect all information relating to the assets, finances and operations of the corporate debtor for determining its financial position. Under the IBC, financial creditor implies any person to whom a financial debt is owed. The financial debt can include money borrowed for interest. Operational creditor means a person to whom a company owes an operational debt, which includes those with respect to provision of goods or services. Thousands of home buyers had been left in the lurch after the Allahabad bench of the National Company Law Tribunal (NCLT) admitted IDBI's plea for initiating insolvency proceedings against Jaypee Infratech for defaulting on a Rs 526-crore loan. The NCLT has appointed Anuj Jain the interim resolution professional to carry out the proceedings under the IBC. Bank of Baroda has approached the NCLT seeking to start proceedings for insolvency against Amrapali for defaulting on loans. On Wednesday, Corporate Affairs Minister Arun Jaitley said, ""our full sympathy" is with the aggrieved home buyers. "Those who are aggrieved can get remedy under this law (IBC). If there is any such move, the government's full sympathy is with those who have paid money and have rights on the flats," the minister had said in response to a question on problems being faced by the home buyers in Noida.